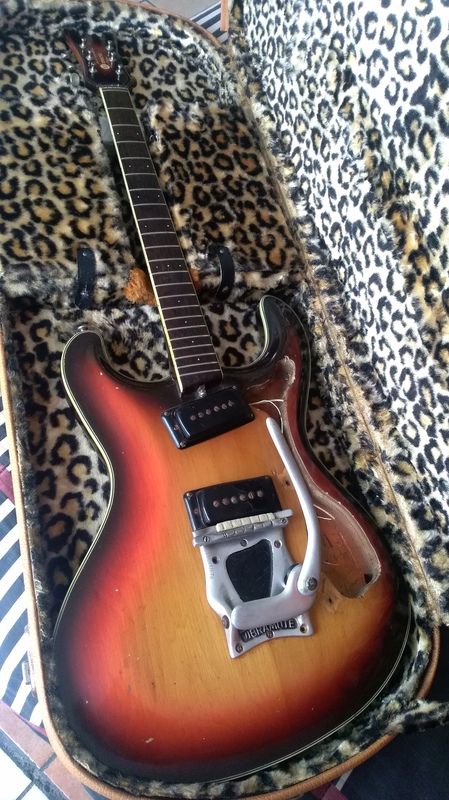 Help about this MOSRITE Joe Maphis pre The Ventures Model ¿Prototype? Help about this Joe Maphis. 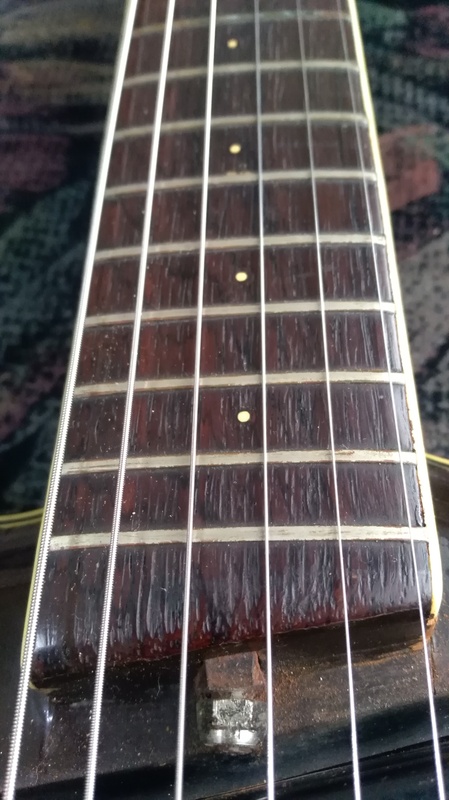 It has a couple of weeks that I bought it (I got it as it is in the photos, without the pickguard or pots) it does not have any serial number fretboard or headstock, it only has some numbers in the vibramute. I have not found concise information about it, some tell me it is a prototype, others that a previous model to The Ventures, maybe from 61'-62 'try to find pictures of an equal on the Interne. 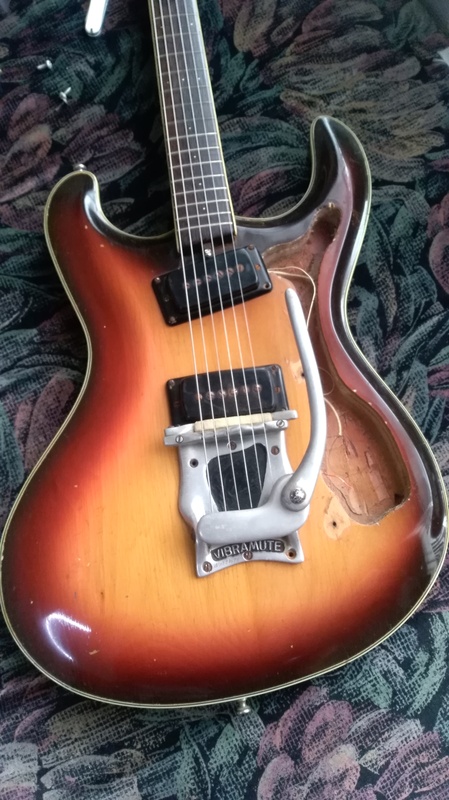 Re: Help about this MOSRITE Joe Maphis pre The Ventures Model ¿Prototype? Does it have to input jack on the bottom side? 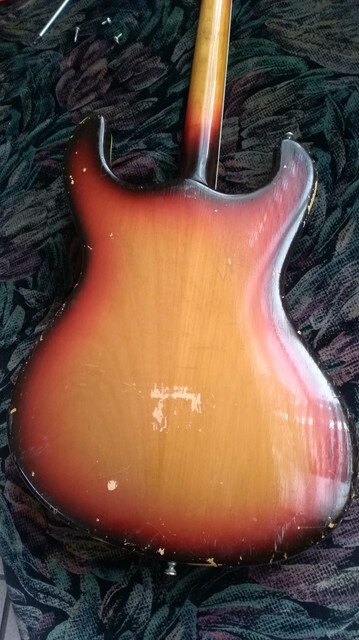 Looks to be what is commonly referred to as a 1963 "side jack". Semi started building this design in 1962 at his shop on Panama Lane in Bakersfield. I visited his shop that year and he showed this to me as his 'new' design. It would be a pre-Ventures but not a prototype. These guitars were hand built one at a time by Semi and his new partner/helper Joe Hall. The story as I know it, Gene Moles introduced Nokie Edwards to Semi and Semi either loaned or Nokie traded his Telecaster for one. After Nokie showed the guitar to the rest of the band a deal was struck with Semi to manufacture the guitar as a Ventures model. The side jack and body binding was immediately dropped on the production model which started in 1964. Yes, it's a side jack. I know that in those years all had slight differences, but I have not found one with the body of The Ventures, but with the decal of a Joe Maphis. Do you know accounts came out like this? And why does not it have a serial number? I'm not the most knowledgeable member of these here but for what it's worth, this looks like a genuine pre-Ventures model to me. 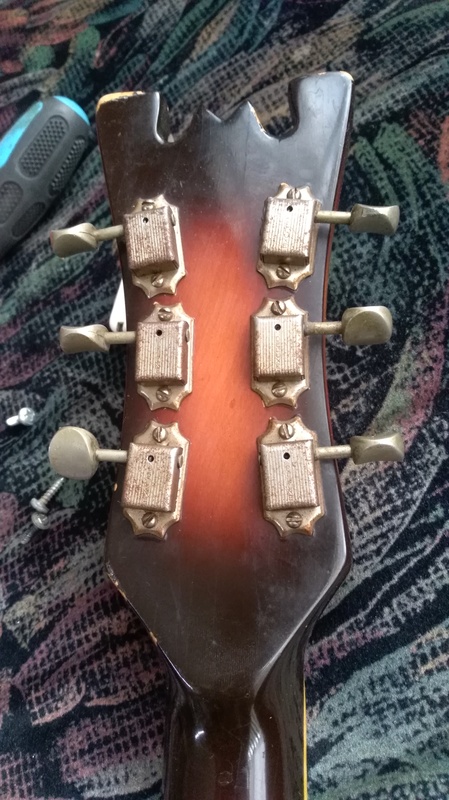 Semi didn't use serial numbers in the early years when building guitars one at a time. 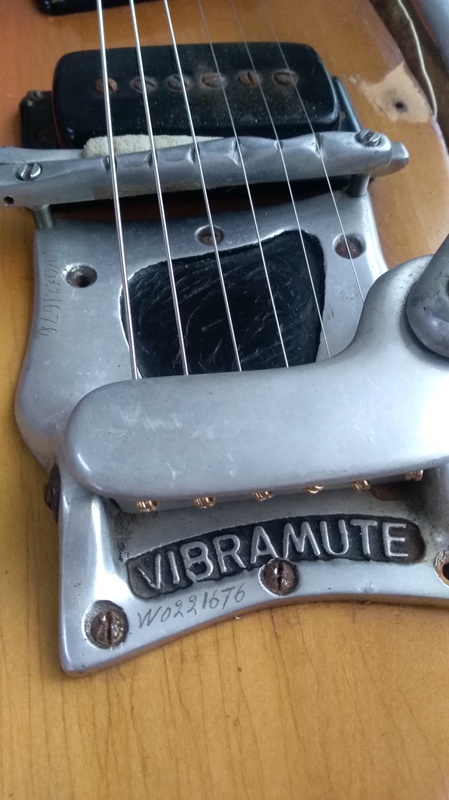 Serial numbers started when he contracted to mass produce guitars for the Ventures in '64. Semi was planning on making the Joe Maphis model as his main design but was put on hold when the Ventures deal was struck to be picked up later with a new shape for the Joe Maphis model. 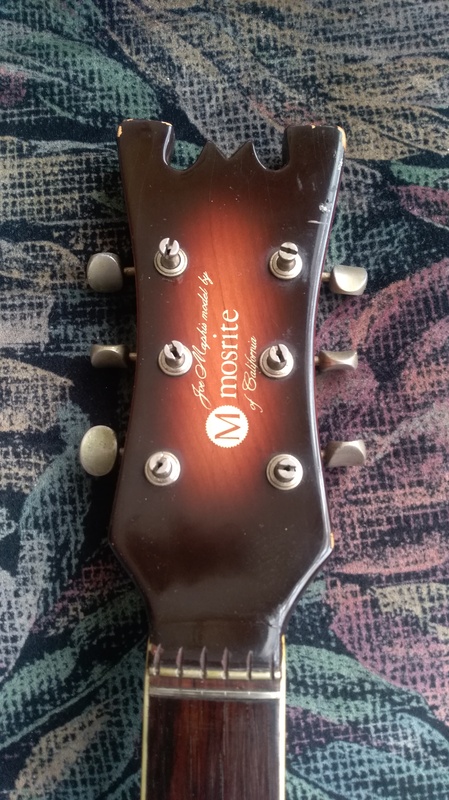 Up until that point no one was selling Mosrite guitars other than buying directly from Semi's small two man shop. He had big ideas but no way to distribute the guitars to the public outside Bakersfield California. Sales were all by word of mouth. 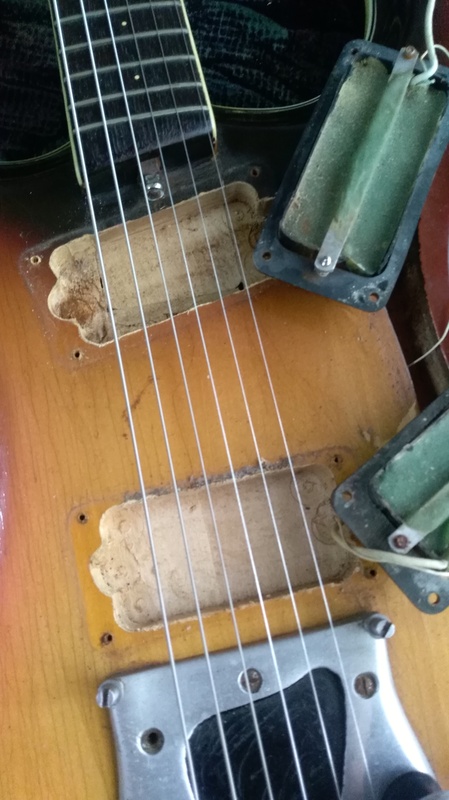 BTW, I doubt seriously if a production pickguard would match up with the mounting holes and finding an original would be near impossible. But, that beauty definitely needs to be put into playing condition. If you are near Bakersfield or ever in the area, bring that guitar to me and I can make a pickguard to fit. So there's no way to know how many Joe Maphis were made? What is certain is that it was a very small production, I do not know how it could get to Mexico. Already take it with the Laudero to make the pickguard and its maintenance, in a few days it will be ready. I will upload photos. Great! Looking forward to seeing it when completed. Awesome find! Looks like one from later in the run based on the absence of the mistake plate. Too bad the pots are not available to see the date codes...still it is rare and super cool!